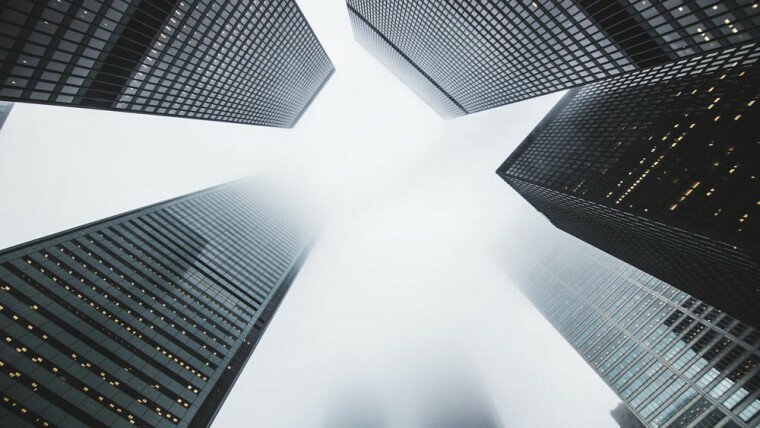 On conceiving the informational enterprise - IRM Connects, by IRM UK | IT Blog. Blog The Zachman Framework for Architecture Revisited. In all those stories John A. Zachman is telling us, we can recognize frequently an opposition, implicit or explicit, between two ways of perceiving the future: the long and the short term. This difference in the duration of looking forward is fundamental: “Life’s trade-off in its most simplistic form is between the short term (“immediate gratification”) and the long term (what’s ‘good’ for us)“ (1999). And as the world is not a perfect place, we are tempted to compromise the long term: “the pressure for immediate gratification […] is enormous” (1999). Zachman is convinced that we should resist this pressure, in order to find the right balance in this trade-off. And the best way to resist is to choose rational and informed. It’s important to recognize that Zachman did not introduce architecture itself. The term architecture was already very common. Introducing in 1978 another framework that Zachman thought we might need (a framework for planning), he states: “architecture is a term that is rapidly losing its meaning because it is being used to describe many different things by many different people” (1978:9). In 1987 he repeats the same statement, adding that “the emotional commitment associated with vested interests almost demands a neutral, unbiased, independent source as prerequisite for any acceptable work in this area” (1987:277). The framework for architecture is one of those definitions. Introduced as an attempt to restore the meaning of this “thing” called architecture, that did lose his meaning due to all the discordances. A definition based on a neutral source: “In searching for an objective, independent basis upon which to develop a framework […], it seems only logical to look to the field of classical architecture itself” (1987:277). Re-identifying the similarity of the “thing”, hiding behind the architectural metaphor. Twenty years later, Zachman repeats this gesture in his article Architecture is Architecture is Architecture (2007-2011): defining “what architecture is”, because the gross misunderstanding persists. The discordances beforehand, become misunderstandings afterwards. People just do not understand it and they continue to use a “kind of Architectural malapropism”: definitions that sound like architecture, but actually aren’t architecture at all. As far as Zachman is concerned, people simply don’t get the essence of what architecture really is. More recently, Zachman & Kappelman (2013) characterize the framework as an ontology, defined as “an explicit specification about something, a conceptualization, a shared understanding of some domain of interest or some subject”. A definition that does not fit the one of John F. Sowa (2000), who defined ontologies of situations in re-using the same conceptual graph, used earlier by him to describe the content of a cell in the framework (Zachman & Sowa, 1992). Sowa (2011) is convinced that “The Zachman Framework is not an ontology, but a metalevel approach for defining an open-ended number of different ontologies for many different domains”. But exactly this notion of a (meta)level is the expression of an implicit position of a subjective perspective. Like a taxonomy, an ontology does neither have an explicit subjective perspective. The metaphorical use of the word architecture seems to emanate mainly from this principle of different perspectives. When Zachman returns to classical architecture in 1987, as a neutral, independent source to re-define architecture, he stumbles on this idea of different perspectives on the same object. Describing the architecture of a system, the IBM 360, George M. Amdahl justifies in 1964 the use of the term architecture with exactly the same reason. Because of the intermodel compability between machines, a new concept of mode of thought was required: “to make the compability objective even conceivable. […] computer architects had realized […] that logical structure [of the system] (as seen by the programmer) and physical structure [of the system] (as seen by the engineers) are quite different. Thus each may see [something] that to the other are not at all real entities” (Amdahl, 1964:23-24). The explicit recognition of the duality of structure (of the system) led Amdahl to embrace the metaphorical use of the term architecture. Different viewpoints, all showing different, independent, structures of the system, which in the end has to result in one and the same object: the IBM 360. It is the need for all those viewpoints to be interrelated, what triggers the use of the term architecture. But the subject here is not architecture: it’s the framework. And within the framework each perspective does not result in different ways of representing the object. On the contrary, all perspectives of all participants are forced to describe the object in the same way, with exactly the same pre-established concepts. Each viewpoint of every participant in the framework represents the same object in the same way: every structure of the system is the same. That’s an important particularity of the framework: interrelating the different representations, as all participants do see the same knowledge, structured in the same way. each perspective represents (semantically) the same something. “We are not now dealing with those primitive instinctive forms of labour that remind us of the mere animal. […] A spider conducts operations that resemble those of a weaver, a bee puts to shame many an architect in his construction of her cells. But what distinguishes the worst architect from the best bee is this, that the architect raises his structure in imagination before he erects it in reality. […] He not only effects a change of form in the material on which he works, but he also realizes a purpose of his own that gives the law to his modus operandi and to which he must subordinate his will. Besides the exertion of the bodily organs, the process demands that, during the whole operation, the workman’s will be steadily in consonance with his purpose. This means close attention”. As long as an artisan can conceive and construct an artefact on his own, the conceived purpose and the bringing forth is in the hands of only one subject. But when the artefact becomes more complex, the conception and the construction are separated in different participants, who all do need to share the same purpose: they need to collaborate. Military history shows this same need in the transition of engineers, each serving a military corps, to a specific corps, grouping all the engineers together: le corps du génie in the Ancien Régime, with the fortifications of Vauban (Davis, 1988:10-11). In Concept of the Corporation (1946:10,27,84,142), Peter Drucker is using the French term esprit de corps to refer to this same need of collaboration. Engineering a corporation. Drucker tries to imagine this concept of a new kind of institute, a corporation, that is organizing the industrial human effort to a common end, so that it arouses the loyalty of their (mostly middle-class) members. Surely, leadership is identified by Drucker as the main problem. Along with the policies of decision making: not choosing on personal power, but based on “the impersonal criterion of a supreme law”. And finally, that same law is an issue: how to create an objective yardstick of every human effort. But In the end: “The question always remains to what purpose the machinery is to be used”. With all the instantiations of a corporation since 1946, these issues concerning this concept surely remain topical in the everyday flow of newness. Within the framework the participants need to collaborate. Zachman concludes in a NIST-workshop on integration (Fong & Goldfine, 1989:121) that the framework embodies this same idea of unifying people around a same purpose in action (an enterprise), as to gather everyone in the same body, that acts as one (a corporation). In conceiving the same (isomorphic and isotopic) purpose, to be shared for bringing an artefact into being as an instance. Bringing an artefact into being requires changes of form in the material: for each participant involved the material to be (in)formed is different. Positioning Zachman in Hollywood, a mass production industry, releasing over 700 films a year during the Golden Age, the instantiation of the artefact in a cinema is a projection of light onto a screen. In order to arrive there, the so-called Studio system worked their way through a synopsis, a scenario, the camera shooting, the acting and in the end the montage, resulting in celluloid/acetate rolls of film or, as every artefact these days seems to evaporate in bits, a digital object. Each step requires another participant, with his own specific know-how (techné) of how to (in)form the material. And they all had to do the work itself (praxis), in using this know-how. But all within the same shared purpose of the conceived artefact (poiesis), to be revealed by the machinery of the imaginary signifier on a screen in a cinema. The interrogatives can be traced back to journalism, where they are used as a rule for presenting the daily news: every article must answer all those questions in the very first lines of an article. Journalism borrowed them, where else, from rhetorics. The 5 W’s are an English translation (made by Thomas Wilston (1560) in The Arte of Rhetorique) of a rhetorical figure, known in Latin as the 5 Q’s: the peristasis, designating the (attendant) circumstances of an act. In different variations, this figure has survived throughout history, as part of a larger category of rhetorical figures, all describing reality from different viewpoints The peristasis represents the act, but it does not limit the act to the classical relation between a subject and a predicate: it describes the act in relating all the particular circumstances of the course of an action. All six columns of the framework together incarnate this rhetorical figure: peristasis. In the afternoon, on a public street, the lips of Joyce are kissed by her fiancé, as he is in love.To Joyce, her fiancé is abusing of the situation: it’s not done to show emotions in public;In the evening, on a theatre stage, the lips of Lily are kissed by her antagonist, as the theatre play prescribes to do so. But the antagonist is abusing of the situation, as he tries to steal a real kiss. To Lily, it’s not done to violate the rules of make believe. The columns of the framework forces us to gain knowledge of these circumstances, as any action is not knowable, as long as the particular circumstances of that action are ignored. We need to know them all. Aristotle is very clear about it in Nicomachean Ethics: “the man who was ignorant of any of these [circumstances] is thought to have acted involuntarily, […] Further, the doing of an act that is called involuntary in virtue of ignorance of this sort must be painful and involve repentance.” Aristotle speaks about whoever is acting. The framework describes the action: the particular of all the attendant circumstances involved in the activities of an enterprise. The context of the framework in 1987 is different from the context in 1978, but the shift made by Zachman, in moving from strategic planning to the logical construct of a framework, is radically different from all other architectural frameworks, which have been developed after 1987. Steven H. Spewak (1993:11) does illustrate this perfectly, as he makes exactly the inverse move as Zachman. Spewak brings the subject of enterprise architecture back to the context of a planning framework. And his interpretation of the Zachman framework, shows very well what is getting lost in this inversion. The one thing, most precious, for choosing the word architecture: interrelated perspectives. They disappear as the first three columns of the framework are re-interpreted by Spewak as “three kinds of architecture”: data, applications and technology. The columns of the framework are reduced to different domains, on a stand-alone basis, in a single dimensional model (2007:10), as there are no more perspectives. Since, in different shapes, more such single dimensional models have been developed: from NIST to TOGAF. All focusing on completely different domains, with non-interrelated viewpoints, and all resulting in one major concern: how to achieve alignment? As TOGAF, one might even create a kind of “architectural” process around something called requirements, to assure that all these different domains become somehow interrelated, before arriving at the step of planning the work to be done. But it is like putting the cart before the horse, as they are missing the different perspectives on one single object, to be conceived: the enterprise. Drucker (1970:19) illustrates such (prototype) non-automated information system with the Armee Deutsch, an army in Austria prior to 1918. They used a language of fewer than 200 words, all designating a possible action, to support their army business. That language was their (non-automated) ISA for running the army. A report of the House of Commons in Great Britain (1870:105) provides another example. In an investigation of railway companies, one participant remarks: “We have also another system in operation […] which I may denominate as the information system, that is to say, it gives information of the trains that are upon the line several stations in advance”. The information system was quite simple: for fast trains, every station dispatched a message by telegraph to the next three stations. Delivering information as to foresee a future situation, they are unable to see for themselves. That was their ISA for supporting the business of running trains. Different technologies and tools, like language or the telegraph, but they are all, both automated and manual, information systems. One of the characteristics of information, is that it is always encoded (Drucker, 1970:11). As soon as we have at least one simple code, signals, noise or data can transform into information, constituting an information system. A clock, like the Big Ben, can be seen as an information system. As any language: artificial or natural. As any coded computer program. All we need is a difference that makes sense by means of a code, as the code is the systematicity from which the information emerges. The code embeds the possible articulations of the information. Any enterprise is a combination of different codes, of different information systems, both manual and automated. Using them is the praxis. Knowing how to use them is the techné. Understanding and conceiving them as a “whole”, is the poiesis. The framework embeds the code of the attendant circumstances of an action regarding the informational representation, the informational act, for conceiving (a set of) information systems, which need to integrate into an enterprise. Technology is not about things, affirms Drucker (1970:41-46), technology is about work: “work might provide one unifying concept which will enable us to understand technology both in itself and in its rule”. Technology organizes work in calibrating individual and collective efforts, as already discussed above in terms of purpose and poeisis, to which, as far as the frame-work is concerned, the techné and the praxis are subordinated. This shift from technology as a thing into organizing the work is the same shift from the object to an action, as with the information. Technology provides us with tools that intends to amplify the human power to act, in overcoming the limitations of the human body. The first informational revolution was the invention of writing (Drucker, 1998: 58). Plato tells us in Phaedrus, the story Socrates told on the inventor of writing, Teuth: it will make the Egyptians wiser and give them better memory. A boost for the act of storing and retrieving information by means of the technology of writing. Thamus, king of Egypt, doubts if it will succeed in this intend: it will create forgetfulness, as people will not use their memory anymore. Nicolas Carr (2008) is questioning the Teuth of our times: is Google making us stupid? But whatever the diminution caused, glasses, axes or a CPU overcome somehow a weakness of the human body in using technology and tools. But the focus should not be on the technology and the tools: it is about the work this technology and tools amplify. Google Glass might for some be a gadget, but for those conceiving it, it must fit the work(ing) of the eye.In the context of the framework, technology and tools need to amplify the informational act, as performed by an enterprise. An act defined from a business perspective and represented by a systematic perspective, before becoming available to the perspectives of technology and tools. Zachman (2007:5) repeats it endlessly: It’s not about building and running systems. Drucker (1998:58) writes the same: “No longer the focus on the “T” in IT but on the “I”. Doing business is about informational activities, in amplifying those, represented by the architectural perspective, with technology and tools. Last but not least, there is the content of the cells in the framework. Zachman is very precise about them, in separating primitives from composites. Used for the first time in relation to the graphs of Sowa (1992:608), the primitives becomes more apparent in articles from Zachman in 2001 (Fatal Distractions) and 2002 (Enterprise Quantum Mechanics). The need to distinguish primitives and composites is a consequence of the difference between architecture: conceiving an object, and application development: building an object. Building results in composites, situated at the (non-reusable) level of an instance, like the roman coliseum. Conceiving is about concepts: the descriptive representations of the framework. In semiotics, Louis Hjelmslev (1943) developed such combinatory principle, also in search of a calculus, in separating two different, but interrelated, perspectives on any signifying ensemble, like a film, a language or an enterprise. Using a so-called commutation test, permits to identify the smallest elements, the paradigm’s of a system, that are making a difference in signifying: the primitives in each cell. Combining these paradigm’s in a (linear) process, results in syntagms: the informational act. And, switching from level, we can perceive those syntagms on another level as paradigms, to create even bigger syntagms: the enterprise. Or we might combine letters into words, words into phrase, etc. But once a syntagm is brought into being as an instance, in the context of a communication channel, it has become a composite, that can not be combined anymore. Hjelmslev is not interested in communication: he is interested in the possible (conceivable) combinations, given the (paradigmatic) elements of a system and the (syntagmatic) combinational laws of the process. Not in what combinations are actually realized in the instantiation of the communicational act. In his technical and critical philosophical dictionary, André Lalande (1925:229) gives two definitions of the verb to inform. The first one is to give form to matter. This definition joins the Latin origin of the word, as in Vergil’s verses on the Cyclops, using the technology of fire, tools like the hammer and iron as a matter, to make thunderbolt weapons for Zeus (Capurro, 1978). An act to transform things. The second definition abuts on to the communicational act: make something known to a subject. Two short definitions that subsequently are related by Lalande, in referring to René Descartes, who positioned thought as the only instance to legitimise the existence of a subject: informing the matter of the mind. And this mind implies a subjective instance, like a receiver or a sender in a communicational act or as what is to be imitated by artificial intelligence. Ralph .V.L. Hartley (1928:536,538) eliminates this subjective instance, while introducing the “very elastic term” of information, in order to quantify the object to be transmitted in communication: “we should ignore the question of interpretation”. Shannon (1948:379) takes over from Hartley, stating that semantics is non-relevant to engineers. But in the end the door to semantics can not be kept closed. In order to make sense of the communicational act, we need to assume the subjective position of the sender and the receiver. It doesn’t matter if both instances do understand each other perfectly, do not understand each other at all (like Montaigne playing with his cat (Sennet, 2012)) or misunderstand each other completely. Whatever happens in the communicational act, what counts is exactly the thing that happens at the subjective position of either a receiver or a sender. More than ever before, the framework provides the rationale to avoid the pitfall of technology and to promote information as the key asset of an informational enterprise: as an act, for every participant involved. The framework incarnates the change imposed on every enterprise by the next information revolution: they will all have to reinvent their business likewise. Internally. But mostly to conceive the external informational activities, one likes to trigger within a customer in establishing a possible communicational act. Without any guarantee that the conceived act is actually being instantiated by the customer. Reinventing business for the next information revolution requires the conception of an informational customer. For example BSP includes a definition of information architecture and underlines the role of an architectAnd in 1975 Börje Langefors and Bo Sundgren published their book Information Systems Architecture. Zachman uses this word in Fatal Distractions (2001), while discussing “four corruptions of architectural principles”. A malapropism is a rhetorical figure, named after a character in a theater play, Mrs. Malaprop, who uses similarly sounding words instead of the word intended: f.ex. hangover instead of Hannover. In the last version of the framework, the term descriptions is changed to abstractions. Ontologies have become a frequently used term, as the term graph. In his essay From the Tree to the Labyrinth, Eco (2007) positions clearly the problems involved, including the “ontologies” of Sowa. Eco uses another term from Charles S. Peirce, the interpretant, to open up the act of defining things, as in a dictionary, to what a dictionary really is: “a disguised encyclopedia”, culminating in the fantasy of a kind of rhizome. Zachman & Sowa (1992:590) express the need to be able to relate the concrete things in the world to the bits in the computer: they should be two representations of the same something. Isotopy is a concept used in mathematics, chemistry and physics. Algirdas Greimas (1965) extends it to semantics as a way to homogenise an object, in organizing the semantic content in an (immanent) micro-universe: “the categories, constituting the isotopy, can be identified as those that articulate taxonomically the micro-universe” (Greimas & Courtès, 1979, lemma Micro-universe, translation my own). Political philosophy is an important subject of the book, mostly in terms of the problem identified by Alexis de Tocqueville, after having travelled in democratic America in the Ancien Régime: balancing liberty and equality. The National Institute of Standards and Technology (NIST) organized a workshop in 1988, entitled The integration Challenge, consisting of five different groups, of which one was presided by Zachman. His contribution to the workshop in time was minimal (2007:11), but not in writing. Whereas every group published an average of 20 pages, Zachman wrote triple as much. All they did was to make an inventory of all possible integration issues, recognizable in all cells and all relations within the framework. As if, within the framework, alignment is no concern anymore: it is for free, as if it addresses implicitly all issues. In outlining the rationale of the framework, philosophical subjects are imposing themselves, as poiesis. Originating in the old times of the ancient Greeks, they maintain their interest up to today. As Heidegger’s essay The Question Concerning Technology, first presented in 1949 with the title The framework. The imaginary signifier is the title of a book of Christian Metz (1977). To name some authors: Cicerone, Saint August, Matthew of Vendome, Quintilian, Boethius or (the oldest, only indirectly known) Hermagoras of Themnos in the 1st century B.C. The English translation can be found on the internet: classics.mit.edu/Aristotle/nicomachaen.3.iii.html. It is one thing to write something universal, that seems “applicable” to all enterprises. It is another thing to do justice to the particularities of a single enterprise, in formulating an adjusted singular advice. The names of these stand-alone domains vary: business, information, data, applications or technology. Another symptom of this lack of alignment are methods like DSDM, Agile or Scrum : all trying to solve the issue of what needs to be conceived (poiesis), while doing the actual work (praxis). It’s another way of putting the cart before the horse: limiting damage at the most, under the pretext of “close” communication. All participants are desperately seeking to compensate the missing inter-relationships between perspectives. We might even conclude that the term information system is a pleonasm, as without a system, information can not exist. Although information is often perceived as an (transparent) object to transmit: the message. Unfortunately, the concept of information is a too broad subject for here: it will be addressed in forthcoming essays. Here, it is narrowed down to Drucker’s context of a code. Such a code can triumph in attaining “its perfection in the transmission of the message” (Metz, 1964:51), as in the work of Claude E. Shannon on the reproduction of a message. Or in the perfection of not transmitting it, as in the work of Shannon on secrecy systems that intend to conceal the message. Both, in striving for perfection, have noise as their counterpart: the imperfection, disturbing the code. But even noise can be considered as a message (Shannon, 1948: 406). Understanding “primitives” in the context of the interrelated perspectives of a system and a process might help to prevent the composite thinking, still very prominent in IT: “a totality does not consists of things but of relationships” (Hjelmslev, 1943:23). Hjelmslev explains the fundamental aspects for describing any signifying system in his instructive lecture of 1947 on the basic structure of language, published in the French translation. Another aspect are two (interrelated) planes: expression and content, constituting the (semiotic) sign function. The Bell Telephone Laboratories, even after Hartley, imagined this subjectivity as being part of the object to be transmitted: communication for them was “the transmission of intelligence” (Nyquist,1924: 324). No extra row within the framework is necessary to do so. Nor the user of an information system needs to be represented in the framework, as Sowa (2011) suggests. Both consume the instance of the object conceived. Architecture of the IBM System/360. Thinking like an Engineer: Studies in the Ethics of a Profession. Oxford University Press , Drucker, Peter F.
Function and Sign: Semiotics of Architecture. 2007 From the tree to the labyrinth: historical studies on the sign and the interpretation. Information Management Directions: The Integration Challenge. Structural Semantics: An Attempt at a Method. Semiotics and Language: an analytical dictionary. The Cinema: Language or Language System? Certains Factors Affecting Telegraph Speed. Together. The Rituals, Pleasures and Politics of Cooperation. Allen Lane. The Information Systems Management System: a Framework for Planning. 1982 Business systems planning and business information control study: a comparison. 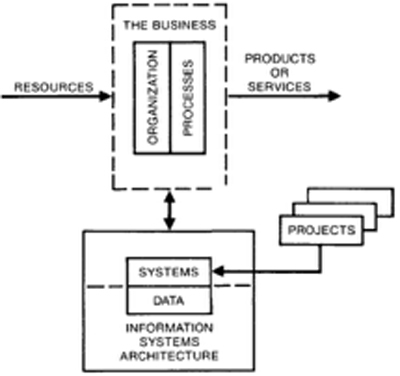 1987 A Framework for Information Systems Architecture. 1997 Enterprise Architecture: The Issue of the Century. 1999 Life Is a Series of Trade-Offs and Change Is Accelerating! 2007 Exclusive Interview with John Zachman by Roger Sessions. 2007-2011 Architecture is Architecture is Architecture. 2015 A Historical Look at Enterprise Architecture with John Zachman. An interview with the Open Group. January 23th. The Enterprise and Its Architecture: Ontology & Challenges. Extending and Formalizing the Framework for Information Systems Architecture.